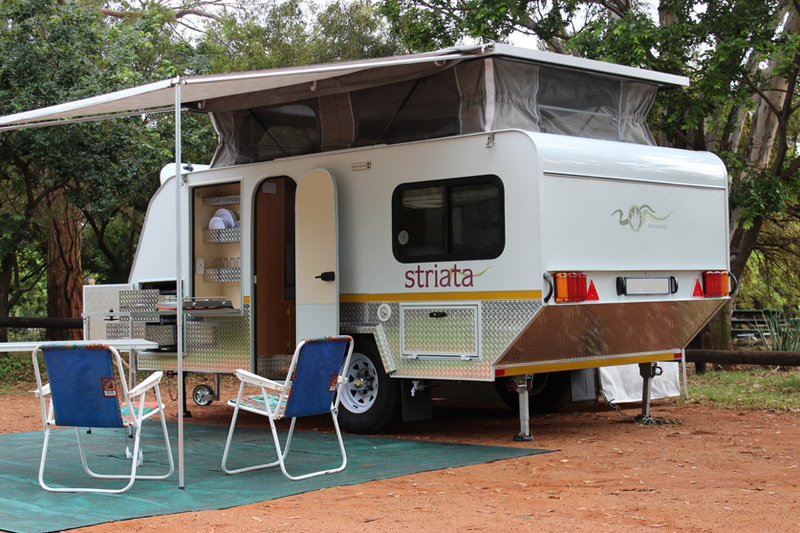 The Striata A can accommodate 3 or 4 persons. There is an option of having either an island bed or a permanent extra length double bed which is situated against the back of the van. 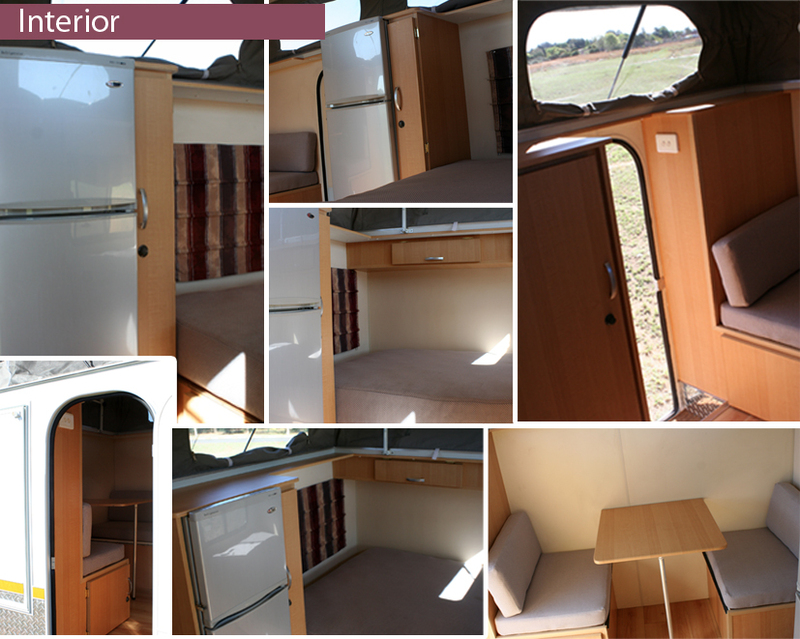 The 2 seater dinette converts into a 3rd bed and an optional hammock bed is available above the dinette bed. Entrance doors on both sides allow for access to a spacious sitting area as well as to a private outdoor shower. External fold out kitchen with a stainless steel work top. 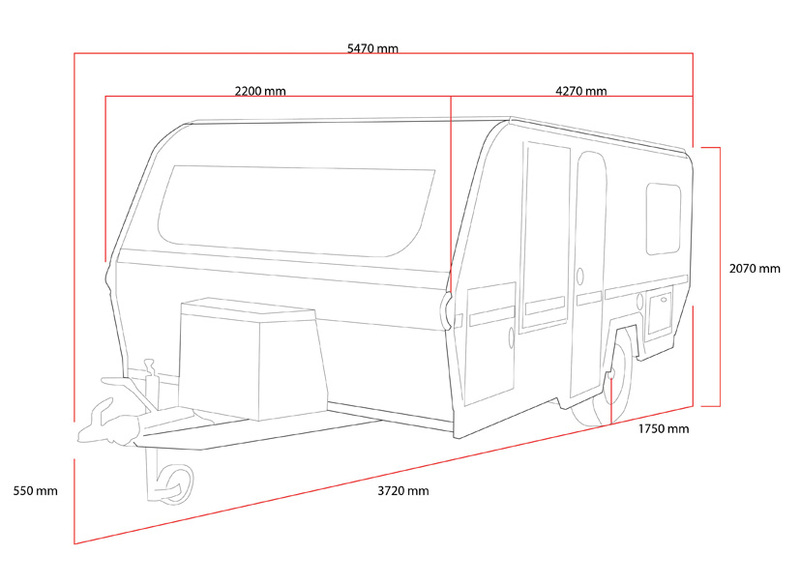 We manufacture the majority of components used on our caravans but may need to install components from outside suppliers to meet customer requirements. 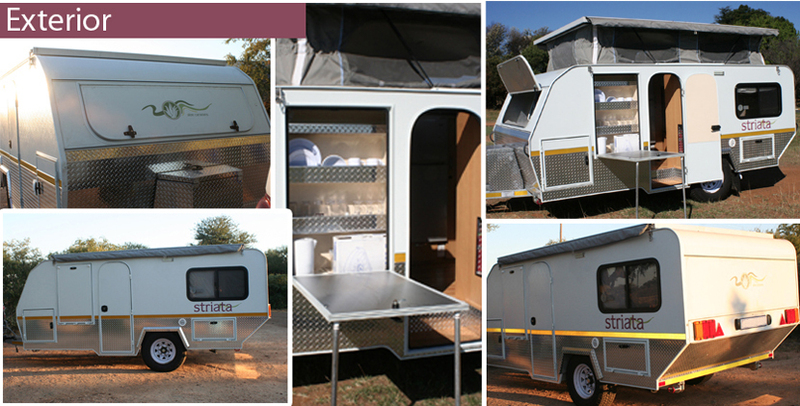 With this in mind please send your requirements and we will be happy to quote on a caravan to your requirements.